Mod Pizza, Wells Fargo & Aspen Dental coming to new shopping center on Newport Hwy. Initially reveled after a Jan. pre-development conference, plans for a new multi-tenant commercial building on Newport Hwy. is now moving forward, with actual work starting now . The building will rise at 9405 N. Newport Hwy, SE corner of Newport Hwy. & Holland Ave. . This new plaza will be a more modern replacement for the Heritage North retail center that was a two building complex of mostly small local businesses. Many of the businesses in that complex moved onto new locations before this project started, both of those former structures will be demolished. The new building will be a 10,000 square foot single story plaza with inline retail spaces. Baker Construction & Development will do the construction work on the building which will include a new surface parking lot. The project is owned by Heritage North,LLC , which is affiliated with Black Commercial / NAI Black who did the leasing work for the project. And, unlike many new multi-tenant commercial buildings, this one is being built already fully leased. We will keep watching for news on this project, and business opening dates. The Iron Bridge Office Campus, an established site of premium class A office space located just a couple of miles east of Downtown Spokane is about to grow yet again. This as the site's developer, Kent Hull of KD Hull Corp., recently began the planning phases for two and possibly three new buildings on the north side of the campus. The campus sits on approximately 23 acres of land along the Spokane River, bordered by Trent Ave on the south. It's existing four office buildings are already home to several large office tenants, providing hundreds of local jobs. And, two of these new buildings will be larger then the ones that are there now, with tenants lining up even before the dirt is turned. The first new building to be built will be called Iron Bridge IV , with 90,000 square feet of office space. The new Iron Bridge IV building will face Iron Bridge Way with Erie St. dead ending into the new building's surface parking area. It will also back up directly onto the Spokane River with a plaza and café or restaurant space on the ground floor near the plaza. The plaza will be a concrete common area with access onto the actual " Iron Bridge " which the office complex was named after. The Iron Bridge IV office building is still in the planning phase, but construction is scheduled to start in the early Summer with completion date planned for the first quarter of 2017. There have been no announced tenants for the new office space, but one large tenant is already signed on with several more eyeing the development. 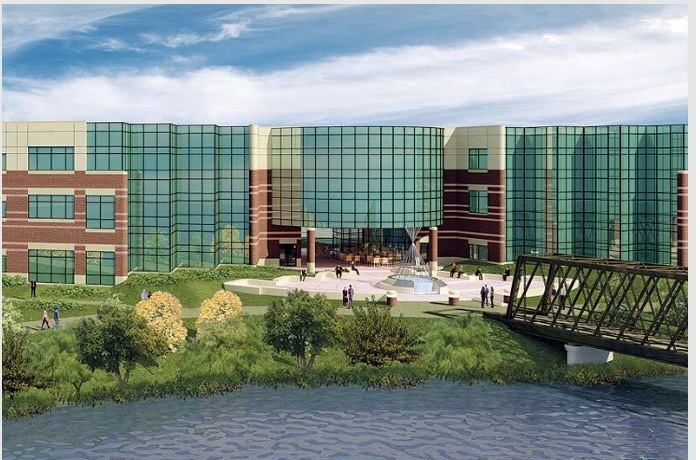 The next building in line to be built at the Iron Bridge Office Campus would be Iron Bridge V, an office building that would have the same look and same size and be built adjacent to the Iron Bridge IV building. Construction of that building is likely over a year away, although some tenants are supposedly already interested in leasing office space in that building too. KD Hull Corp. is also planning a third, smaller warehouse type building is also planned on a vacant lot just off of the office campus . That building has no set construction timeline and will be built at 703 N. Helena , corner of Helena & Springfield. More on that building as we get it. Rathdrum Trading Post Hardware is moving , and then moving again, this is because of a situation that's kind of unique. 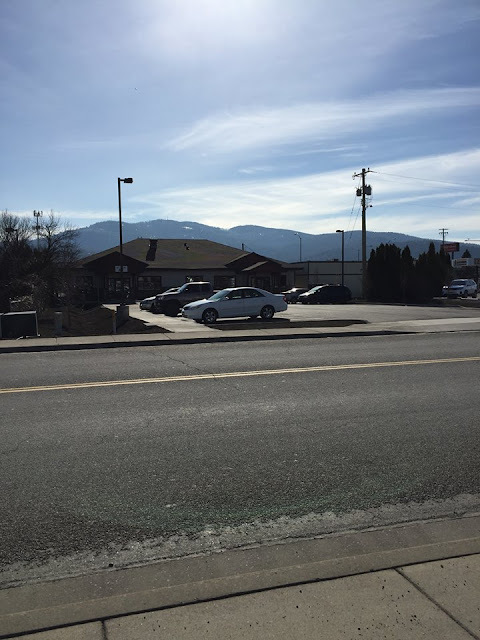 The locally owned and operated hardware store had planned to build a new store in another part of Rathdrum, but before construction could even begin their landlord leased the store's current space to another tenant. We're learning that, the tenant who will replace them is likely Dollar Tree and we will have more on that news when it is officially announced. But in mean time we can confirm that Rathdrum Trading Post Hardware has located a new, but smaller, temporary home to make up for being kicked out of their old home. Rathdrum Trading Post Hardware is still in the Stein's grocery store shopping center at 16484 N. HWY 41 . But now, they will occupy the suite formerly occupied by Rathdrum Fitness. The store is smaller at 6200 square feet, but still fits 2/3rd's of their inventory and most importantly is only temporary. Rathdrum Trading Post Hardware is still pushing forward with their new store building. 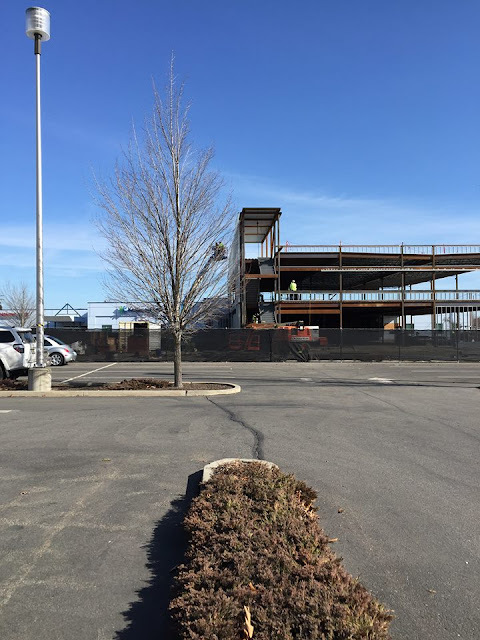 Construction is now beginning on the new construction stand alone building, nearby the Super 1 grocery store, still in Rathdrum. The new store, will be 12,200 square feet and open in or about July on a pad site along HWY 53 , just west of the HWY 41/53 bridge. 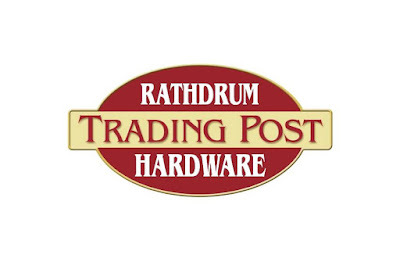 Rathdrum Trading Post Hardware is a full service hardware retailer with all the common hardware store departments. They also have a lumber, rental division and more. The Utah based Maverik gas station / convenience store chain is quietly planning a second wave of new Spokane area locations. A few years back the chain opened it's first stores here and today it operates stores in Spokane Valley , Mead , Cheney and Coeur d' Alene. They also just opened a new location in Hayden only a couple of months ago. Of interest is that each location is on a piece of land owned by Spokane based developer Harlan Douglass. The store's are to be similar to all other Maverik gas station locations with a little over 5000 square feet of store space and numerous fuel pumps. Although not mentioned in the public records, these locations will likely also serve the chain's Bonfire brand of hot foods made fresh in the store. In business in the Spokane area since the 1940's , the end has sadly arrived for Williams Seafood Market & Wines . Williams last day of operation will be tomorrow, Sat. Mar. 24th with sales going on now to sell off remaining merchandise. The store, which is a locally owned and operated business had been located at 2118 N. Ruby , corner of Ruby & Montgomery about five years ago. But, it has moved and evolved around the local area for the last few decades. Williams also recently added a small lunch menu to add to their retail services just weeks ago. Williams Seafood was owned by Mike Offield , who says the closure is due to rising costs in the seafood market, crab shortages and damages to their merchandise during the Windstorm of 2015. There is currently no news about what might go into their current store location. Hut no. 8 , is a well liked chain of clothing re-sale stores, that has been growing lately via a franchise system. One such franchise has been a part of the Spokane community with a store at 6210 N. Division in North Spokane, and now they are planning to increase their local presence. The same franchise owner as the North Spokane store recently announced they plan to open another location, this time in Spokane Valley. The new store will join the newly updated Sullivan Square shopping center at 15322 E. Sprague Ave. , adjacent to Hastings . Building permits show the store's location to have a little more then 2600 square feet. The new Spokane Valley Hut no. 8 is to open for buying clothing only on April 1st. The store will open for retail sales once they have stocked up the store, no date set for this just yet. Hut no. 8 calls themselves a brand name clothing exchange. Their stores buy and sell basically all types of clothing, and accessories like purses and shoes. The merchandise is prime condition with mall brands and in style fashions. Hut no. 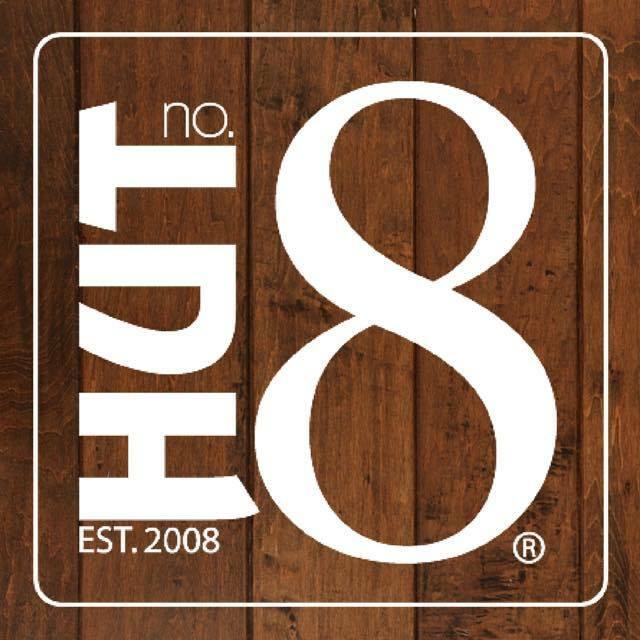 8 is also planning a new store in the Tri-Cities area. JJ's Grill and Taphouse has been a part of the Indian Trail neighborhood for sometime. The restaurant came under new ownership when Ian McQueen & Justin Oliveri took over operations last year. And now, they've made some changes to the restaurant itself. The new menu at JJ's Tap and Smokehouse also sounds great with sandwiches like a BLT, Tri-Tip , a Smoked Cuban , something called The Stacker and much more. A small selection of burgers are available as are entrees like a rack of ribs and brisket. 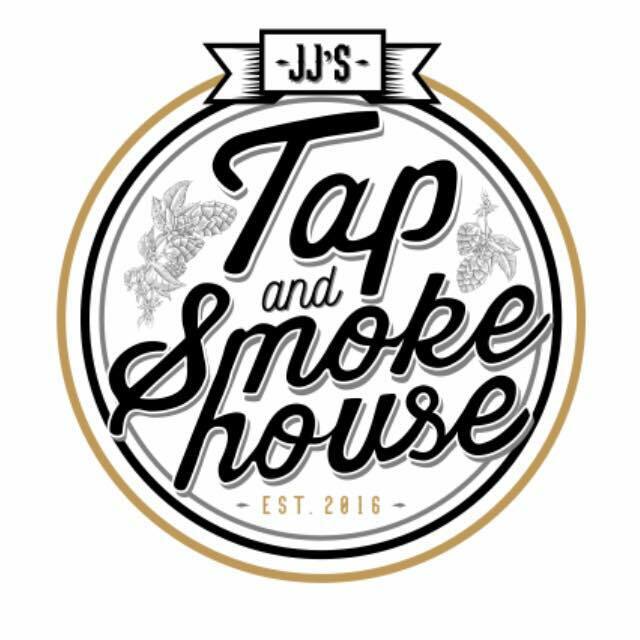 JJ's Tap and Smokehouse is still in the same location at 8801 N. Indian Trail Rd. Suite B . Daily happy hours ( except Saturday's ) and trivia nights are also held by the business with catering service available upon request. Lovesick, a new chain of plus sized clothing stores has chosen Spokane Valley Mall, to be among their first locations to open in what will likely be a national chain. The business is a brand that is branching off of Hot Topic & Torrid, but will be an entirely separate chain. The store's location will be on the first floor of the mall, in what appears to be a portion of the former Gap store. 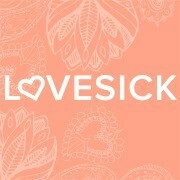 Lovesick at Spokane Valley Mall is currently scheduled to open April 26th and the local location is one of 23 locations planned to open this year. They are also already hiring for all positions, including management, there is no mention of how many new jobs this store will create but applicants can visit Lovesick's website for more information. The chain will feature Women's clothing, that is " trendy " & " hot " with sizes 10 - 26. This will be the chain's only location in Washington State for now. A block north of Downtown Coeur d' Alene's Sherman Ave. , sits a large historic brick structure that formerly housed an Elks lodge. While the building has been vacant for many years, it's still a major part of the city, with a lot of history and potential. It looks now like the Elks building won't be sitting empty for too much longer as the building has been sold and is now in escrow for the locally based Innovation Collective. The collective, which is made up of group of business partners who support the local business, robotics and innovation community by providing work space, office space and support. They plan to continue this work in the Elks building. Office space, Co-working space , Event spaces, a café and more. The project is currently to be developed privately by the business partners with no help from the Urban Renewal agency Ignite CdA. We will keep an eye out for more on this building, once we find out more about the exact plans. Wolffy's Hamburgers, a unique 50's diner style restaurant at Hamilton & Sharp isn't going anywhere. But, after many years of serving the Logan neighborhood and Gonzaga students, the locally owned and operated business is spinning off a new second location. 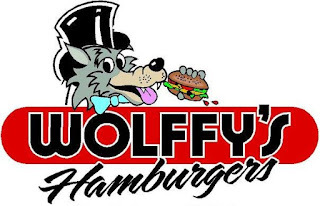 The new Wolffy's location will be in Airway Heights at 12807 W. 14th Ave. , a former Taco Time location close by the Airway Heights Yoke's grocery store. This new location will be basically the same with a 1950's style and a menu of burgers , breakfast and some other lunch items. The new location is about 2200 square feet and is to open for business sometime in the Summer after the building is renovated. Since closing down their Spokane Valley location a few months ago the former home of Barton Auto on E. Sprague, near U City has looked very empty. But that will be changing in the coming weeks as Mike King of NAI Black and Tim Penna of Windermere Manito have successfully sold the property the Spokane based Auto Credit Sales chain of used auto dealerships. Auto Credit Sales is currently planning a new auto sales center for the site which sits at 10819 E. Sprague Ave. However, the company is only moving to this new site, and will close their current Spokane Valley lot, near the Fairgrounds and I-90 at 5905 E. Sprague. No word on what business might replace them at that location. 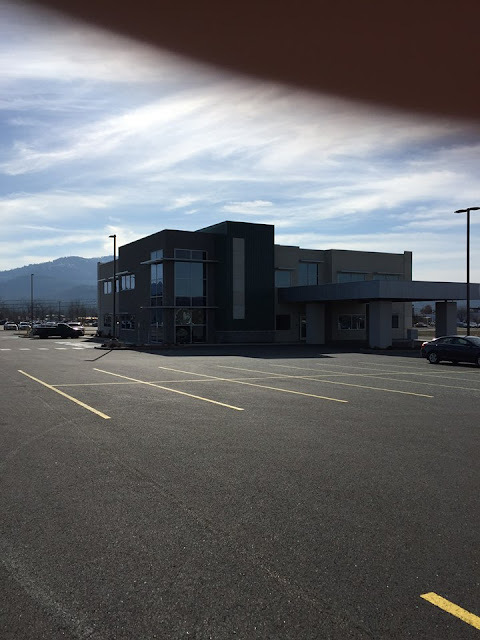 The new location offers an 18,900 square foot showroom, 2.75 acres of lot / land and shop space allowing Auto Credit Sales to open a service department, which doesn't have currently at the former location. The dealership plans to open for business at the new site by April 1st, and will keep their other locations around the area open as well. Barton Auto, who formerly occupied the site recently merged with the much larger Lithia Auto Group, and their other auto dealerships remain open, just now under the Lithia name. Now, we are learning that Catholic Charities of Spokane is advancing their plans for a third apartment complex for the homeless. This project, which is, called Father Bach Haven III ( for the time being ) would be built closer to the Downtown core and will actually replace a couple of buildings. This as the plans actually call for two eventual buildings on the site. 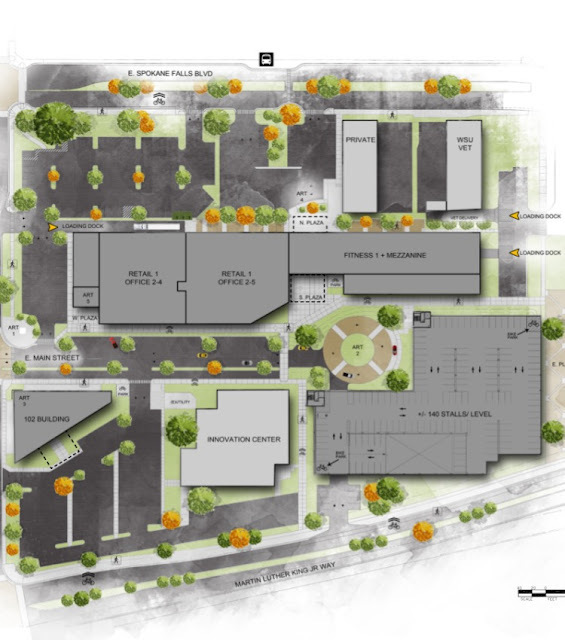 The project would be on the site of the now empty former Spokane Public Market at 24 W. 2nd . It would only replace the former Public Market section of the building, as plans call for keeping the smaller area closer to the corner of 2nd and Browne, occupied be Pinot's Palette Paint n' Sip studio. 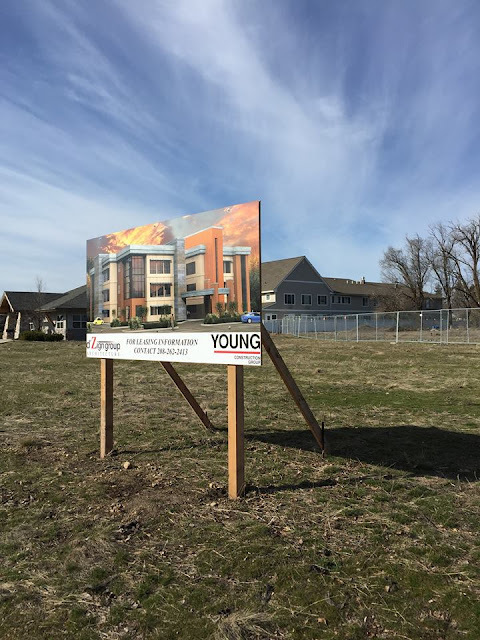 A second building would also be built on the site of the former State St. Flats apartment building, which was destroyed in a arson fire a couple of years ago. Despite the second building actually being a future phase, plans show the State St. Flats building being removed during phase 1. The new apartment project is still in the planning phases with actual demolition and construction will likely to start in July, after Buder Haven and the V of A housing project are completed. The new building will have the same goal as the two before it, housing Spokane's chronically homeless. The Father Bach Haven III apartment building will offer 51 apartments on 4 floors with studio and one bedroom sizes. To qualify for apartments residents would need to make less then 30% of the area median income, or 50% in some units. With Kendall Yards flourishing under the control of Liberty Lake based Greenstone Homes it's sometimes easy to forget the neighborhood had a rough start. 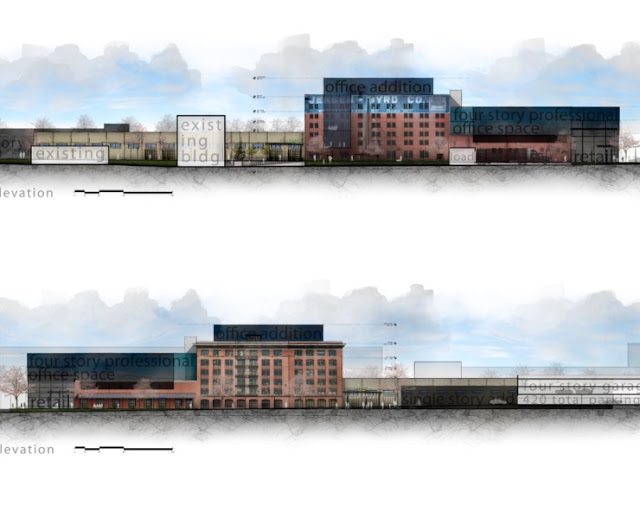 The development was originally purposed by now failed Coeur d' Alene developer Marshall Chesrown, who also ran a sales center from a storefront in Downtown Spokane. That sales center has since closed down, and Greenstone has a sales center within the development. The former sales center has sadly sat vacant now for sometime, despite it's prime location. But, there is now hope with the recent sale of the entire building. The building, which is located at 110 N. Post St, has been sold to MZB, LLC for $950,000 . Some renovations will need to be done to the building. And, after the building is ready the new owners plan to open up the building for a retail shop on the ground floor and possibly office space on the second floor. There is no news yet about what businesses might open there however. The building has about 6,500 square feet of space and a very prime location. The building falls under a block south of River Park Square and would mean another new open space for national & local businesses looking for presence in the in demand Downtown core. Keep watching for more as we learn of the plans / construction and future tenants of the building. There's been rumblings of improvements coming to the block of Ruby & Division, in-between Ermina & Montgomery. But, no construction or set in stone plans ever surfaced, and they technically still haven't. But it looks as if we're getting closer to seeing dirt being turn, and maybe even new businesses opening their doors there. Recently SDS Realty began marketing a new shopping center on the site, which would use most, if not all, of the city block for inline retail, pad sites and surface parking lots. Although this new development has a kind of Suburban look, it does match with the other national chain stores that dot the area nearby. The plan is still very new, so no official tenants have been announced, but it does have a good location. The project site is very close to Gonzaga, WSU Spokane and even Downtown. Plus, the project site boasts high traffic counts on three of the four neighboring streets. This new shopping center is, at least for now, being called the North Gateway Center. The plan calls for over 30,000 square feet of retail space, including some space with drive through capabilities. Because the suites could be combined, it's unclear exactly how many businesses may one day call the North Gateway Center home. There also is no news yet about when we might see actual construction . Currently the block is occupied by some small local businesses, like a Gunsmith, Auto Repair / Tire business, " Bargain Lot " used car sales and more. These buildings would need to be removed before anything could be built there, although most of the buildings have a dated look, and no residential buildings stand in the way. The site plan, also shows a gray area by the Bargain Lot sales center, so it's unclear if it's site would be included or not. Leasing for the North Gateway Center has already begun and is being conducted by agents Levi McCormick & Mike Schmitz , both of SDS Realty. Lease rates are $22 - $28 per square foot and retail suite spaces range from 1,200 square feet up to 10,000 square feet. F5 Networks, a Seattle based IT infrastructure company has invested in The City of Liberty Lake yet again. The company has had an engineering research & development office on the west side of Liberty Lake for 16 years now, employing about 115 there. But now, after last week's opening, F5 has greatly expanded it's Liberty Lake offices and staff. Opening a new second office location on both floors of the Liberty Lake Office Center building ( 23321 E. Knox Ave. ). That building, which is visible from I-90, had housed the corporate offices of Telect, Inc. until they company relocated into their factory building, also in Liberty Lake, a few months ago. The new F5 Networks office is now open and houses 11 support service teams for the company which provides services worldwide. The new office will initially employ 85, but those numbers could rise to 130 if the company's growth continues. This already brings their local employment numbers up to over 200. F5 Networks helps manage their clients internet traffic , applications and IT infrastructure access points. They also have partnership agreements with some major companies including Dell, HP, Cisco, FireEye and more. The company continues to grow and attract new clients from literally all over. The Steam Plant is probably one of the most iconic landmarks in Downtown Spokane. The stacks rise high over the main building and it's history is lengthy and interesting. In fact, the building recently celebrated it's 100th anniversary, and it continues to be attractant with a well known restaurant and several other locally owned and operated businesses. Red Rolling Pin, Sockets Electric and KellCraft Design Build combine. Three of The Steam Plant Square's tenants have combined their business spaces to one space on the second floor of the Steam Plant. The space is good sized and at the base of the building's iconic smoke stacks. The tenants are Red Rolling Pin ( a kitchen supply, gift and specialty food store ) , Sockets Electric ( a lighting store ) and KellCraft Design Build . The store's combining make for an even better place for shopping, especially for gifts. 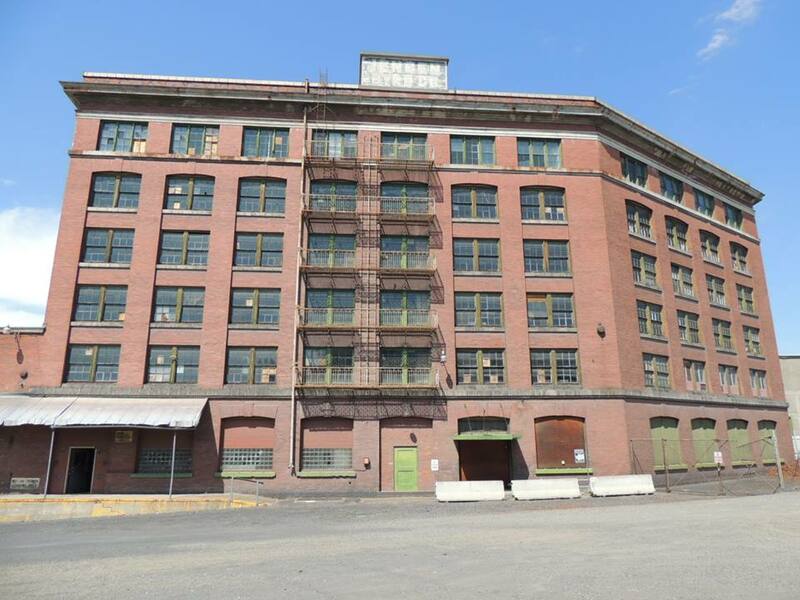 - French Toast, a locally owned and operated children's boutique will expand their retail store in The Steam Plant into the former kitchen store location. The first comic book store in Post Falls, and one of only a few in our area will open for business this week. The new shop is small but is a locally owned and operated business, with a good location nearby Seltice Way. 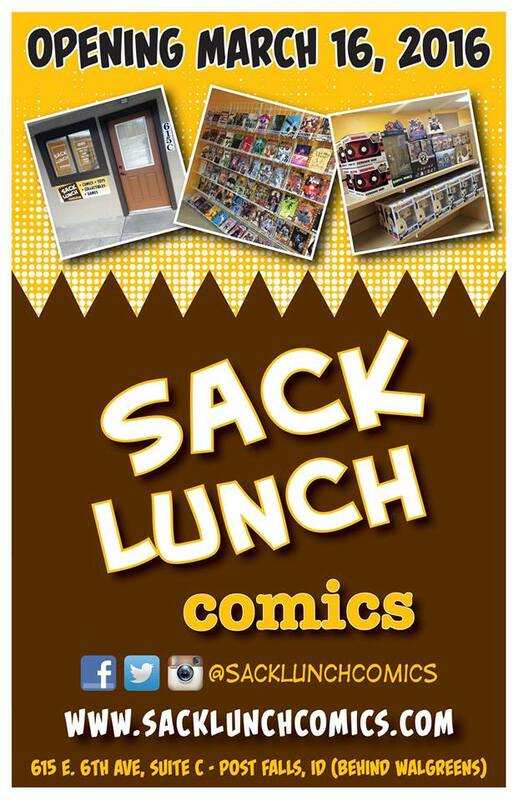 The business is called Sack Lunch Comics and will have 350 square feet of space packed full of comic books and more. Sack Lunch will sell many types of comics with new and back issues available. Also they will have trade paperbacks, graphic novels, toys, statues available upon opening, and collectable card games coming soon. Sack Lunch Comics first day will be tomorrow, March 16th . The store is located in a small complex of business at 615 E. 6th Ave ( Suite C ) which is by Walgreen's. Each customer who comes to their store from the 16th - 20th, will be entered into a drawing for a Lilac City Comicon prize pack that includes four tickets to the convention ( which is in May ) . Construction, hiring & employee training is wrapping up for the latest two restaurants to open in Northtown Mall. Outback Steakhouse & Bonefish Grill are those two restaurants, and they occupy neighboring suites in the newly renovated northern end of the Mall. They join a new Buffalo Wild Wings, which opened a few months back. The Bonefish Grill is still coming soon, but Outback Steakhouse officially opened late last week. 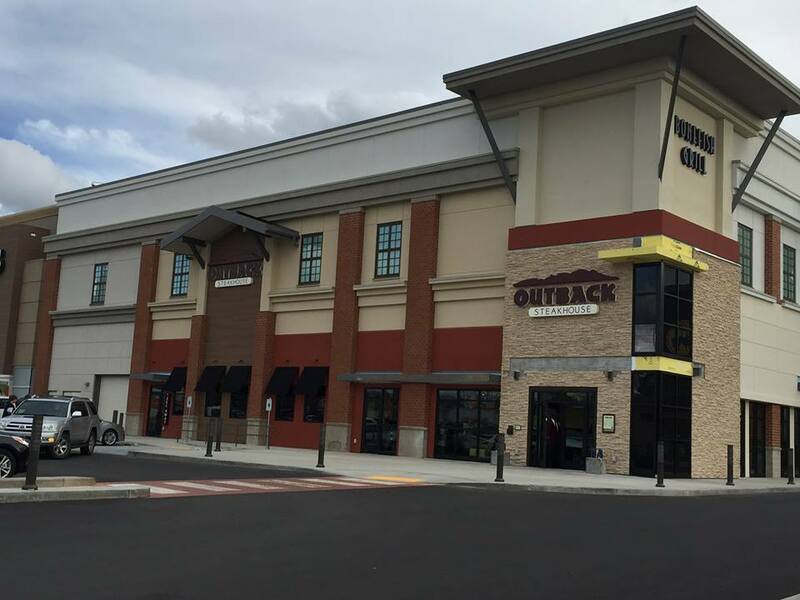 While Outback is new in Northtown, with a new look, it's actually just a re-location of an existing location. This Outback Steakhouse moved from a standalone building further north on Division, out front of Franklin Park Commons Shopping Center. There is no news yet about what business may take their old location, but with a new Trader Joe's coming to Franklin Park, it likely won't be vacant for long. The new Northtown Outback Steakhouse is somewhat different then the original however, with a " Modern Australia " design and décor. The location is a franchise of the large restaurant chain, it's owned and operated by Evergreen Restaurant Group, who also owns Spokane's other Outback location nearby the Spokane Valley Mall. The two new restaurants are also very unique to Spokane for a couple of reasons. One being, that Bonefish Grill has had no prior Spokane area locations. But also the way the two restaurants are set up is a new concept. Bonefish and Outback, have separate dining rooms and entrance's, but they share the same kitchen and office area. Between both restaurants they occupy just shy of 10,000 square feet and employ 175, many of which are newly created jobs, with the new brand opening. Bonefish Grill is a growing restaurant chain that's owned by the parent company, Bloomin' Brands, the same as Outback Steakhouse and based in Tampa,Fla. . Bonefish Grill serves a menu of primarily seafood with American dishes. Although a soft opening is possible before, it looks like the new Spokane Bonefish Grill will open for business on Monday , March 21st. The Man Shop, a Spokane based chain of barber geared specifically towards men has replaced it's older Downtown Spokane location. The location, which is the chain's flagship store, is all new and in an all new building. The new Downtown location is the first tenant to open in the Peppertree Plaza building at the corner N. Division and Third Ave.( 2 W. 3rd Ave. ) . The business is leasing one of the ground floor retail spaces in the new building, and will soon be joined by a Einstein Bros. Bagels franchise. Another space is also still available on the ground floor of the new building. The Man Shop moved there from a space further west on 3rd, which is now empty and available for lease. The Man Shop is a full service barber shop with cuts, trims, shaves and more. But, it's not just the hair cuts that make The Man Shop unique, and just plain cool. The new Downtown location also features a basketball free throw area, pool table, classic video games including Golden Tee and a big screen TV in the waiting area. And, even with all the extra's haircuts are still affordable at The Man Shop, with most cuts costing only $10 - $13 . Dickey's Barbecue Pit now open in Spokane Valley, Coeur d' Alene next? Dickey's Barbecue Pit, a franchise based chain of Barbecue restaurants has opened it's second Spokane area location. This new location is in a formerly vacant building in Spokane Valley at 14720 E. Sprague Ave. and is possibly just the beginning of the chain's previously announced aggressive expansion plans into the Inland Northwest market. 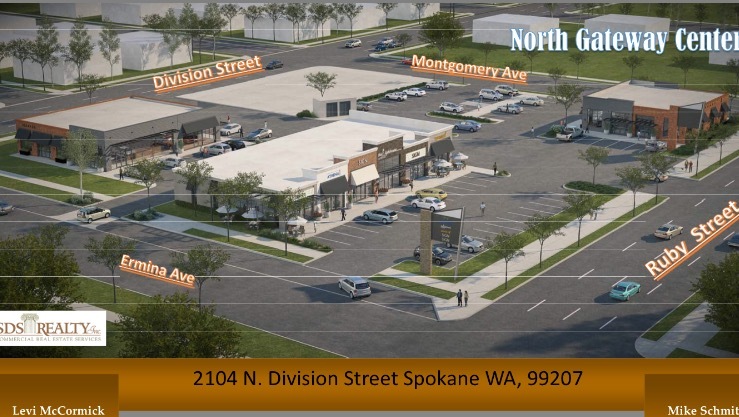 While not official yet another Dickey's franchisee is actively planning another location in Coeur d' Alene. No news on where that will be just yet. Another Dickey's Barbecue Pit location is also open in the Wandermere area in North Spokane at 12628 N. Division. 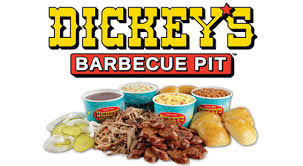 Dickey's Barbecue Pit is a fast growing chain of restaurants based in Texas. The new Spokane Valley location officially opened yesterday, March 10th with grand opening celebrations happening all weekend. The location is the 21st Dickey's location in Washington State. The chain serves most every kind of menu item you'd expect from a barbecue restaurant. Including signature meats, home style sides and tangy barbecue sauce. All meats are smoked on site,and they offer free kids meals every Sunday. After many years of providing laughter to Spokane, Uncle D's Comedy Underground, will close their doors for the last time at the end of March. The club's owner Don Perkins has decided now is the time to retire with the news of a new comedy club ( Spokane Comedy Club, 300 blk. of W. Sprague ), that promises to bring A list comedy talent, about to open for business Downtown. While Uncle D's Comedy Underground didn't bring the big names like the new club will, it still made people laugh. They gave many lesser known comedians there chance to make people laugh, and always gave it's customers a great night out. Uncle D's last professional comedy show will be March 25 & 26. And a final open mic night, with free admission, will happen at 7pm on March 31st. Uncle D's Comedy Underground is located upstairs from the Bluz at the Bend blues bar at 2721 N. Market St, corner of Market & Illinois Ave. .
Just a couple months after the announcement that JB,LLC ( of which McKinstry Spokane,LLC is a part ) would be the developer for the WSU owned Jensen Byrd Building, we're getting a look into what might be for the landmark building. The building has been a landmark at 131 E. Main, in a gateway position between Downtown Spokane and the University District. But, unfortunately it has sat empty for many years, despite it's large size and numerous use possibilities. But, now it's looking like there is hope for new life at the Jensen Byrd Building. Only catch is there is no official construction timeline, and with a possible $50 million dollar price tag for renovations / additions , it likely won't be opening tomorrow. The current plan shows a full renovation to the existing building, and a large addition for new office space coming off the side of the existing structure. Also, as a solution for the parking needs created by the new building use, a four story, 400+ parking garage is included to be built directly next door, along Martin Luther King Jr. Way, which is currently a vacant lot. The ground floor of the building has a retail purposed use under the current multi-level structure, and a " fitness " use on the first floor of the lower section of building. All upper floors of the building, would be converted to office space. These plans are early and are by no means official yet, but still gives an idea of what might one day see at the building. Washington State University is the owner of the building, and has already expressed their desire to turn the building into a gathering place for Downtown and the students at WSU Spokane. Any movement to revitalize the building is welcomed, as the building has spent many years now sitting un-used just blocks away from the city center. As you may recall, it was also saved from the wrecking ball a couple of years back, when a Austin,TX based company planned to remove it for a new large student housing apartment building. Of note, is the new plans contain no residential competent . What would you like to see happen to Jensen Byrd Building? Retail? Restaurants? Apartments? Let us know by commenting to this story's post on Facebook ( http://www.facebook.com/inlandnorthwestbusinesswatch ) . And, while your there be sure to like our page! A small two unit office building is nearing completion along Polston, sandwiched in-between Paul Bunyan Burgers and Pizza Hut. One side of the building is still available for lease, but an office of Farm Bureau Insurance has opened in one side. 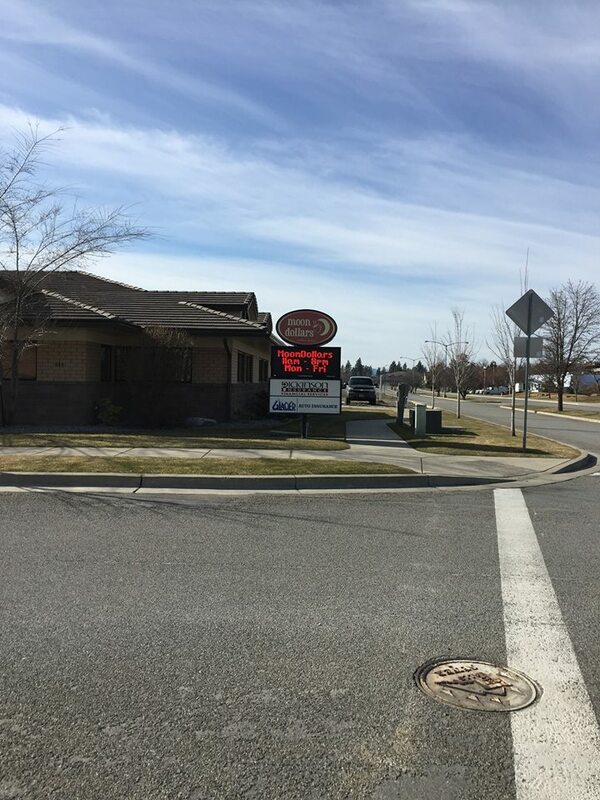 Once a stone / granite block sales center, Northwest Specialty Hospital acquired this building along Polston, in-between the specialty hospital and the Post Falls Police HQ a few months back. The front end was converted at that time for a business called The Spine Center. Now an expansion is wrapping up on the back side of the building for a new cancer treatment center. 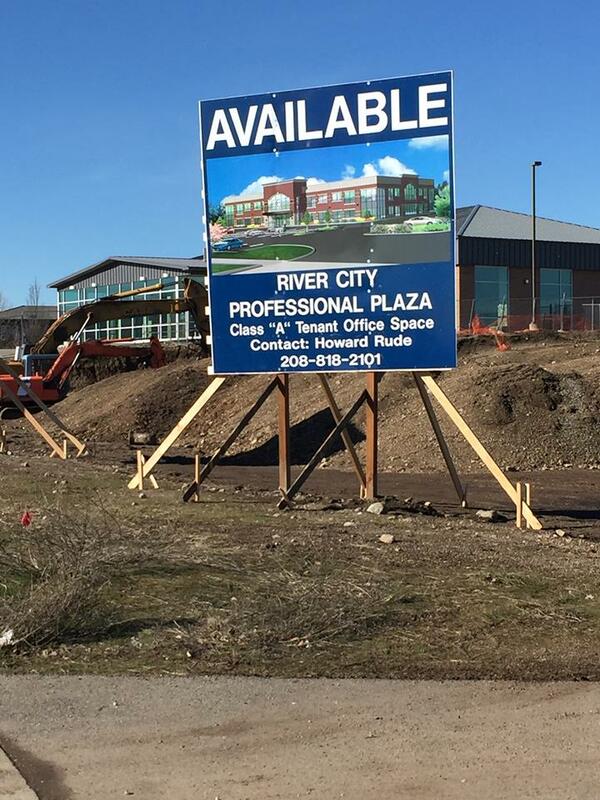 New class A office space coming with the " River City Professional Plaza "
This is another project we are still gathering information about. But site work is being done and signs are now up for a large new office building called River City Professional Plaza. This new building will be built on a vacant lot on the south side of Polston Ave. The location is also a perk for this building, because it will end up being visible from I-90. Moondollars Restaurant back open for business. Once one of Post Falls' favorite restaurant has returned. The restaurant closed for sometime, and despite us asking a few times, they never mentioned exactly why they closed. Either way they are now back in business and as a full restaurant, actually using the name Moondollars Bistro. Their name is actually a spoof of Starbucks, using opposite terms, i.e. Moondollars . Moondollars has beer and wine and also occasional live music. 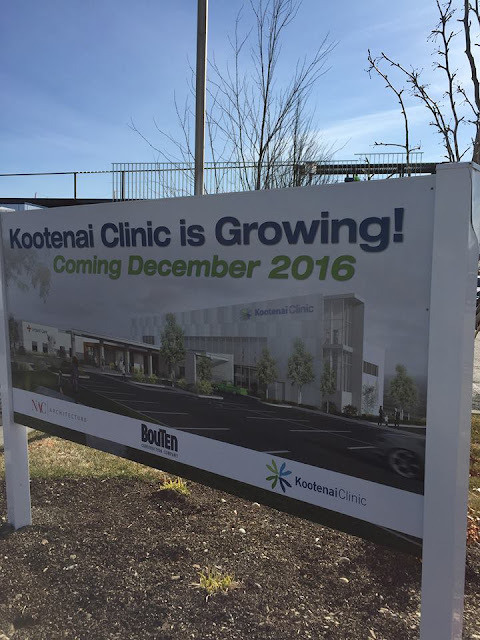 It is located along Polston, in the same building as an insurance agency, kitty corner from Northwest Specialty Hospital. The City of Post Falls has had it's ups and downs over the years, but it's looking quite positive right now in " Idaho's River City " . Keep watching Inland Northwest Business Watch for all the new developments coming to Post Falls, and all of the Inland Northwest! 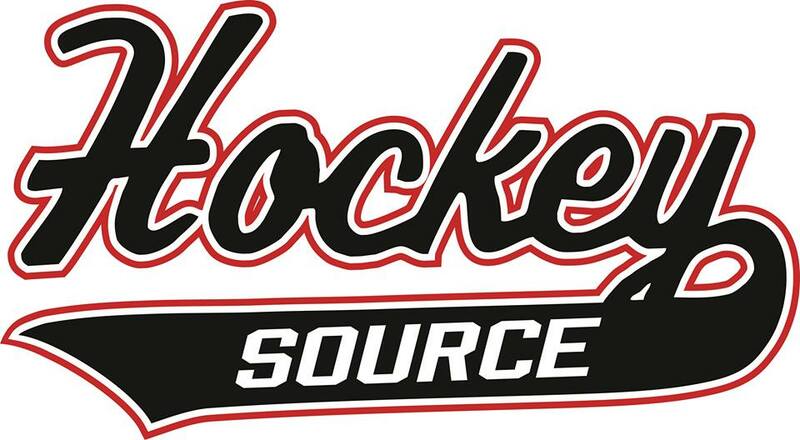 Expanding from their original location in Kennewick, specialty sporting goods store, Hockey Source is in the process of opening a new second location here in Spokane. Hockey Source is a full service hockey supply store & LAX pro shop. They carry all major brands including the RapidShot Hockey Training System. 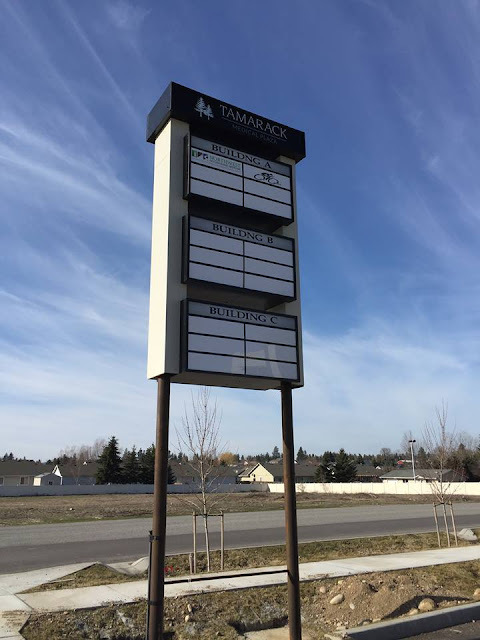 The Spokane location of Hockey Source will occupy 2900 square feet of space in the Tombari Center at 98 E. Francis , just west of Division St. . Remodeling is already underway for the new retail store, and an opening should be coming sometime this Spring. In addition to Hockey equipment, the store will also sell some Hockey jerseys. It will also in a prime location, only a few blocks away from the Eagle Ice Arena in North Spokane. Pointe Pest Control, founded in 2006, has become the premier pest control service for much of the Northwest. And building upon their successes, Pointe, recently built a new corporate office and warehouse facility in Post Falls. 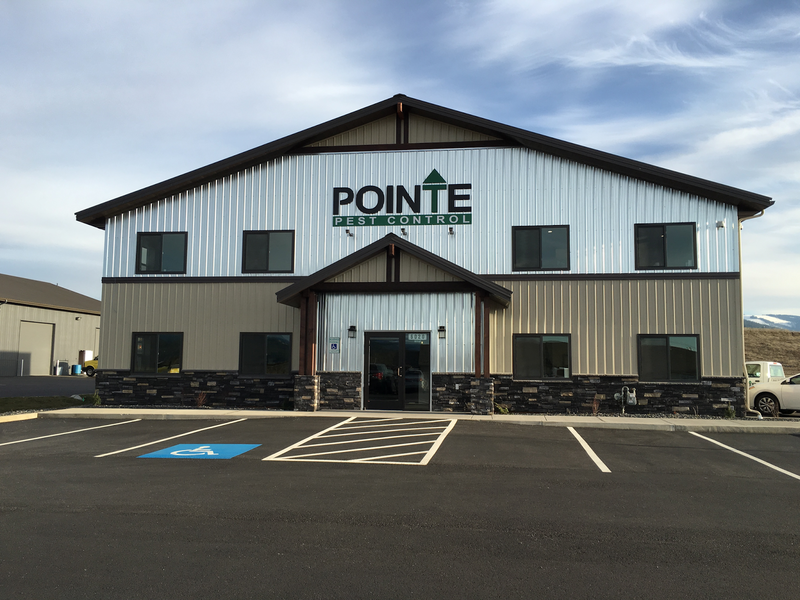 Pointe Pest Control, has now moved into that new building, which is about 6000 square feet. The new facility is in a new business park of the west side of Post Falls / east side of the Village of State Line. Their new address is 6020 W. Seltice Way , next door to Service Master. Pointe Pest Control has grown rapidly over it's years of operation. Today Pointe Pest Control employs 50 and has numerous satellite locations all over Washington , Idaho and Oregon. Their team is committed to the core values of professionalism, service , integrity and excellence. 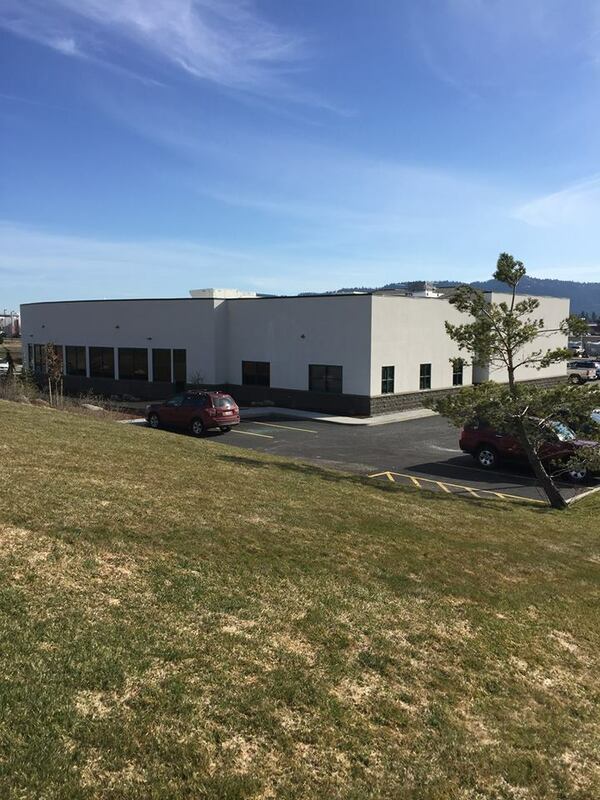 Smart Smoke, the Spokane based retailer of Electronic Cigarettes has leased space at the Spokane Business & Industrial Park, likely for a warehouse. Smart Smoke occupies 6200 square feet of space in building 2. Everlasting Scents, a manufacturer of pet products has also leased space at the Spokane Business & Industrial Park. They will occupy 4000 square feet in building 12 . Global Credit Union has acquired the Freeway Plaza office building at 1500 W. 4th in Downtown Spokane. The credit union now plans to relocate their corporate offices from a building in the same neighborhood to the Freeway Plaza. 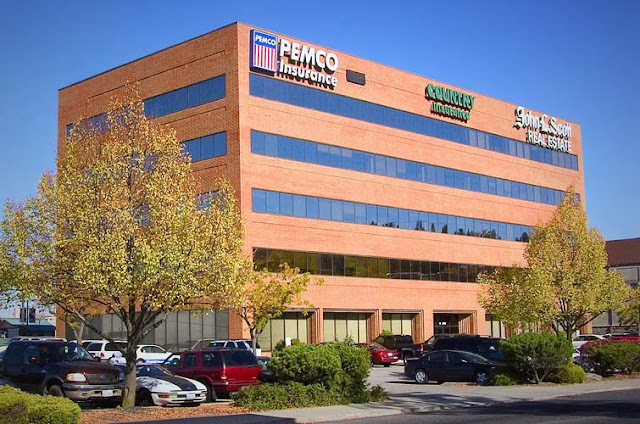 The Freeway Plaza has had a large vacancy in it after Pemco Insurance moved their regional offices to the Riverview Corporate Center in Spokane Valley recently. Global Credit Union will use that space, but other existing tenants will stay, including a John L. Scott real estate office. Global paid $4.8 million for the building, which it acquired from the Western Washington based Wallace Properties. Global Credit Union's new Headquarters in the Freeway Plaza building will be larger for the needs of the growing Credit Union. Global is currently in the same block as the Freeway Plaza at 1520 W. 3rd Ave. . There is no news about what might go into their current building, although that will likely also be a piece of news since their building is a unique pyramid shaped building with modern look. Not everyone was pleased when the Walt Worthy decided to use pre-fab concrete to build his latest hotel, The Davenport Grand on the east side of Downtown Spokane. But, regardless of the look of that building, there is no doubt the massive hotel is creating positive change. More people are visiting / shopping and dining on the east side of Downtown, and building owners there to investing in their properties. The entire area around the 400 block of W. Main is now a bustle with new locally owned shops and business. And now yet another building in the neighborhood is scheduled to be upgraded. That building is the historic Sherwood Apartment building at the corner of Main & Bernard. The building, which is located at 301 W. Main Ave, is 100 years old this year and hasn't seen much renovations in recent years. The building is home to both apartments and commercial uses and perhaps most known as being the building the houses the Suki Yaki Inn restaurant. The Suki Yaki will actually stay open for business in it's current storefront, which actually faces Bernard. However, the remainder of the building will get completely re-done after being acquired by a new owner. The new owner is local developer / real estate broker Dave Black of NAI Black. 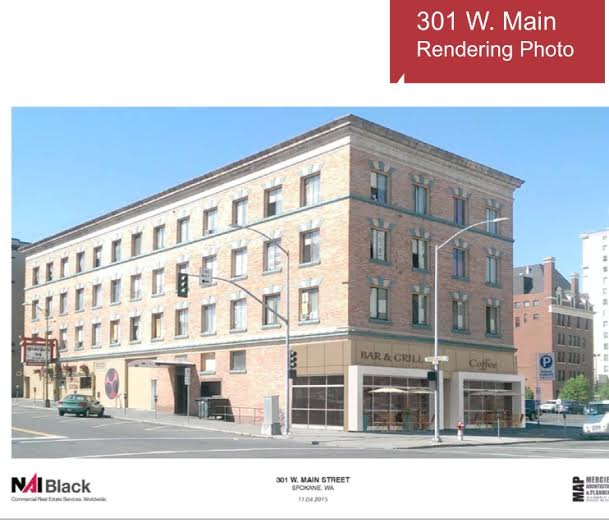 Black says the building will keep it's historic feel and ground floor commercial / upper floor apartment uses. The top three floors will remain as apartments, with 33 rental units in all, close to all Downtown employers and STA bus lines. Renovations will also effect the apartments, with all upgrades being done as each unit becomes vacant. The upgrades will clean up the dwelling area and add new flooring , paint and cabinets . Apartments will be market rate and geared toward young professionals and the like, who need housing close to work. With 57 years in business in Spokane , David Jacobs' business Jacobs Upholstery & Patio is far from being a new business. But, some big new things are coming to the business. Jacobs recently decided to re-brand to better sum up all of the company's services and move more towards being a custom furniture business. Because of this Jacobs has been officially re-named as Jacobs Custom Living and they will remain a locally owned and operated business. Despite the new name, and more custom furniture sales, Jacobs will also continue their re-upholstery services, although mostly at the Valley location. Jacobs Custom Living will remain in business in Spokane Valley at 16023 E. Sprague Ave. But, along with the new name and branding they have also announced their plans to open a new location in North Spokane. Jacobs Custom Living will remodel and move into the former Northside 50% Off Card Shop location left vacant by that chain's recent closure. The new North Spokane Jacobs Custom Living's address will be 7503 N. Division. The new store will be about 10,000 square feet and should open before the end of March. The new location will also likely create some new jobs. Jacobs currently employ's 25 +/- locally. A few months ago it was announced that local developer / businessman Jerry Dicker had purchased the historic Montvale Hotel in Downtown Spokane. The hotel was purchased after being in receivership from the Bankruptcy Court, and already had two restaurant spaces, both of which we're empty at the time of sale. Dicker, announced with the sale that he intended to promptly attract businesses in the restaurant spaces. Mr. Dicker has followed through with his promise to bring restaurants back to the Montvale Hotel building. One being The Gilded Unicorn now open in the basement space that was once home to Catacombs Pub. And, now the other space, located on the ground floor of the hotel has a new restaurant moving in. That space, is adjacent to the hotel's lobby and will be the new home of a restaurant that's already been open for business in the same neighborhood as the hotel. The space is being remodeled for the Brooklyn Deli & Lounge. Brooklyn Deli & Lounge closed in the former location about a block south of the Montvale at 122 S. Monroe at then end of last week. The business will remain closed for a short time, before hopefully re-opening sometime in March. The new Brooklyn Deli & Lounge space will now be more visible, directly at the corner of S. Monroe & 1st Ave. . Both their deli and bar portions business will be located in the Montvale Hotel, with the deli up front by the windows and the bar area directly behind it. No word on what business may replace their current storefront. 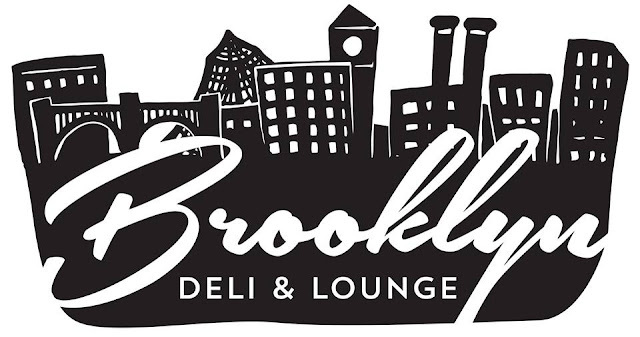 Brooklyn Deli & Lounge is locally owned & operated business that serves a full menu of delicious sandwiches made fresh to order. Also, the bar serves a good amount of drinks with a full bar that also includes beer & wine. The US 395 North Spokane Freeway project may still be a few years away from completion. But it is finally within sight of being a reality, and many properties, that stand in the way of the freeway are now being moved or removed. Most of those right now are homes near where 395 will one day meet I-90, but up near Hillyard, one such property move is effecting a McDonald's. The existing McDonald's in the 3400 block of N. Market St. will be demolished, likely in early March, and re-built on a new site directly next door. The new McDonald's will be built, now directly at the corner of Market & Bridgeport, the main entrance driveway will also shift to Bridgeport with some of the parking lot siting on the site of the former McDonald's. The lot will be long, as opposed to wide, which blocked the Freeway construction project. The new McDonald's will also cause one additional smaller building to be demolished, a former auto repair shop which is at the corner now. The new McDonald's should open for business in June, and will be different then the former McDonald's . The new location will be the newer, more modern, standard McDonald's look and décor. It also will include a drive through with two ordering lanes, that is also becoming the standard for the Chicago area based fast food chain. And, unlike their new location next to campus at Gonzaga this McDonald's will also still have a dine in area. In all the new McDonald's building will have 4300 square feet of space. No news if the new McDonald's will create any new jobs. We will also keep an eye on the rest of their neighborhood as some other businesses are also in the way of the project, so we do expect more news soon.